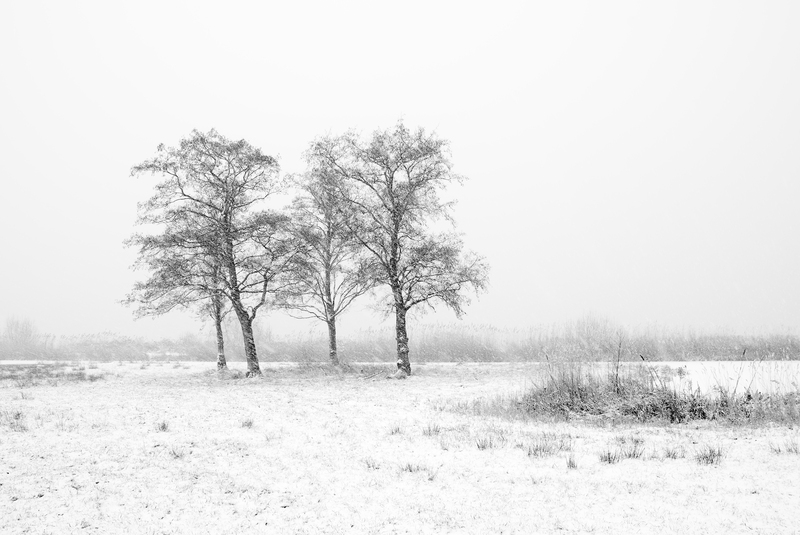 Four trees in snow. Black and white. A good match.